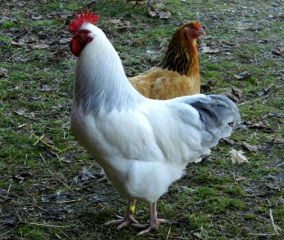 The Sussex is a very striking breed of chicken that originated in the county of Sussex, England. 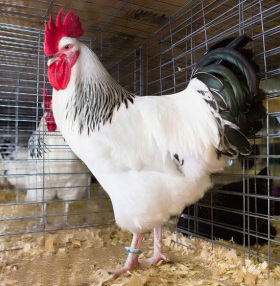 They are one of the oldest breeds of chicken to exist today and are a Dual-purpose bird; they are prolific egg layers of brown tinted eggs and an excellent choice for a meat bird. 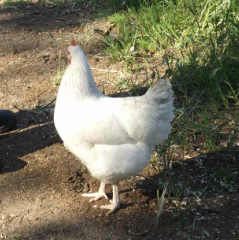 The chicks mature quickly for a heavy breed chicken, with the speckled variety being the slowest to mature. Sussex are a very Popular breed among exhibitors and backyard breeders/hobbyists. The Sussex is an extremely alert, graceful, docile breed that can adapt to its surroundings. 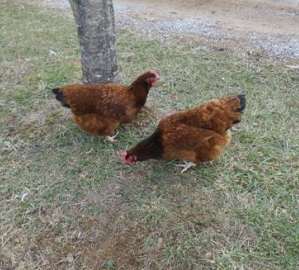 They are great foragers for free range and also do well in confinement. The hens do go broody with the speckled and Light variety being more likely to go broody than the other varieties. Hens lay a tinted (tan) egg, a single Sussex hen can lay between 240 to 260 eggs per year. In the United States, Speckled Sussex are the most common variety.